The following article helps break down the many expenses associated with a funeral or burial, as well as provide some recommendations on how to prepare for the financial costs that come when saying goodbye to a loved one. You may also need to consider the advantages of life insurance to a pre-paid funeral plan. Leaving this earth isn’t free—there are a lot of costs associated with dying. You will be gone, but who is going to pay for everything? How much is it going to cost your loved ones to lay you to rest? It’s best to think about the cost of dying now—while you’re still alive—rather than leaving it for your loved ones to figure out once you’re gone. TermLife2Go is here to help. What costs come with the “Final Expenses” of dying? Processing paperwork– just like it’s not free to get a driver’s license, it’s not free to register a death, either. Your loved ones will need a death certificate which costs under $30 in most states. However, if they need expert help in processing the paperwork, there will be additional fees for that professional assistance. Waiting for the funeral-If you are planning to be buried, there is usually a time gap between the time you die and the time your body actually goes into the ground. During that time, your body has to wait somewhere. Most choose to embalm a body and refrigerate it. Both of these things cost money. The total amount depends on the number of days your body will be in refrigeration before the funeral. If you are getting cremated, you may still have to have your body refrigerated for some time, depending on the state where you live. 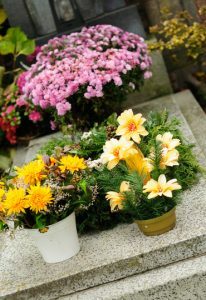 Basic funeral costs- Having a funeral at a church or a funeral home costs money. Some churches may do it for free (usually depending on how involved the deceased was at the church), but typically there is at least some fee involved. Burial- Paying for a burial plot can be quite costly-after all, that will be your final and most permanent piece of real estate. Obituary- Your family may decide to honor you with a newspaper or online write-up about your life and death, this will cost money. The amount will depend on how big the news outlet is. For example, an obituary in the New York Times will be much costlier than the local county paper. Entertaining- After a funeral, most people choose to have a reception. This is a time where family members console each other, remember the deceased, and bond. It’s an important part of the grieving process and may even be more beneficial to your loved ones than the actual funeral service. At the reception, they will have the responsibility of feeding all of the guests. Cosmetic Procedures- If you are going to have an open casket funeral, then you will probably choose to have some basic cosmetic dressings done to your body to make you look presentable for those who come to pay their last respects. Transportation- Your casket needs to be transported from the funeral home to the cemetery which requires renting a hearse. Also, most people choose to rent limousines or other forms of transportation for immediate family. This is not done as a luxury, but because your family has just been through a traumatic event and will probably want to be together and also not have to worry about driving. Entertainment/Religious Speakers- Just like renting a church isn’t free, neither is asking a religious figure to officiate your funeral. Other people may want special entertainment like a professional singer to sing a hymn or memorable song. These things all cost money. Casket or Urn Costs- Caskets are one of the larger expenses associated with a funeral. A single casket can cost between $800-2000. Urns, of course, are smaller and substantially cheaper. They usually cost between $50-200. Total Costs: All funerals are different, but the average amount you will need to pay for your funeral is roughly $7,000-$10,000, give or take. What if I don’t have that kind of money for a funeral? The good news is, if you are reading this, then you’re not dead yet. You still have time to make preparations so that you don’t have to pass this financial burden on to your loved ones. There are two main policies that can offer financial support for your loved ones when you die, burial insurance or funeral insurance and final expense insurance. If your main goal is simply to cover costs of a funeral, then a burial insurance or funeral insurance policy is a great choice. Typically, these policies offer coverage as low as $1,000. Due to the low face amount the coverage is affordable. However, be aware of policies that increase in premium compared to policies that offer a fixed premium. For those who need a little extra coverage, final expense whole life insurance is a great option. These policies usually go up to $25,000, although the face amount available can be higher if you do not have any serious health issues. Hello dear American Memorial, have a policy #XXXX and wondering what is the cash value and how often it gains or mature on my birthday or at the end of physical year, thanks! and best regards.